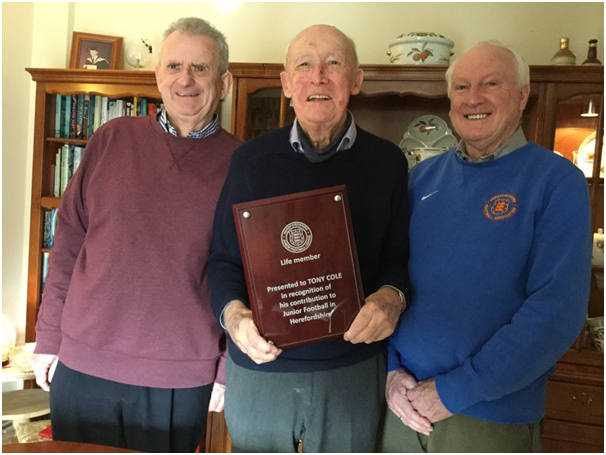 Tony Cole was recently elected as a Life Member of the Herefordshire Junior Football League in recognition of his long service to the League and to Junior Football in the County. Tony is President of the Junior League and has been a Committee member since its formation forty years ago. Tony is pictured (centre) receiving his award from David Owen (L) and Bill Shorten, both former Chairmen of the HJFL.